In its nearly 30 year history, Antiques Roadshow has made some people very happy they decided to clean their disgusting attics. Sometimes the results are surprising. Sometimes, they’re a little too...surprising. I’m not sure what the woman who appeared on last night’s episode bearing a ring inscribed with the words “C. Brontë” was expecting, but I think it’s safe to say she got what she wanted. 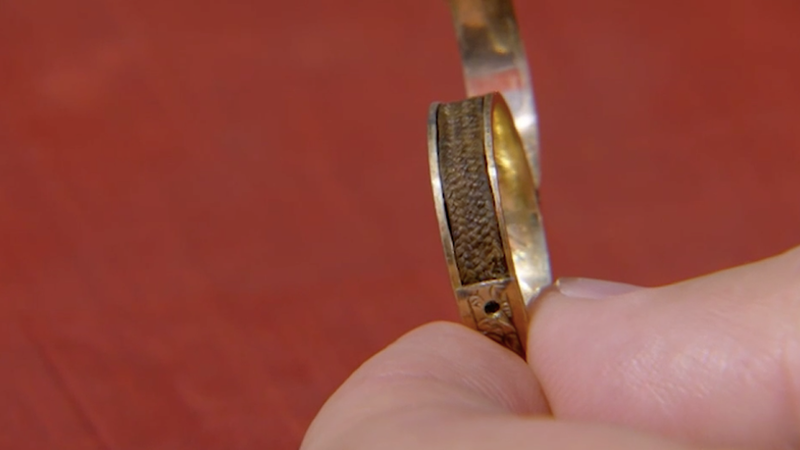 The woman told jewelry appraiser Geoffrey Munn that she found the ring in her recently-deceased father-in-law’s attic, locked inside a mysterious-looking box. After locating the key, she opened it to find the ring, which she discovered was inscribed with “C. Brontë,” as well as the date the author died. “I’m getting goosebumps just thinking about it,” the woman said as she described the ring. Munn agreed. “Yes! Massive!” he exclaimed. Munn is very excitable. But that’s not all. She also opened a hinge and found a tightly braided lock of hair. Yuck! But also, cool? Had the hair ring not belonged to Brontë, it would have been worth about £25. But things being as they are, Munn put the ring at £20,000, or around $26,000. This honestly seems a little low, not just because the ring contains Charlotte Brontë’s hair, but because I’d think the craftsmanship required to make such a tiny braid would put it at $40,000 minimum. Munn has his opinion, and I have mine.